ATRWA is governed by its Executive Committee and following are the office bearers for a period of two years (2019 - 21). This team is a blend of youth and experience. 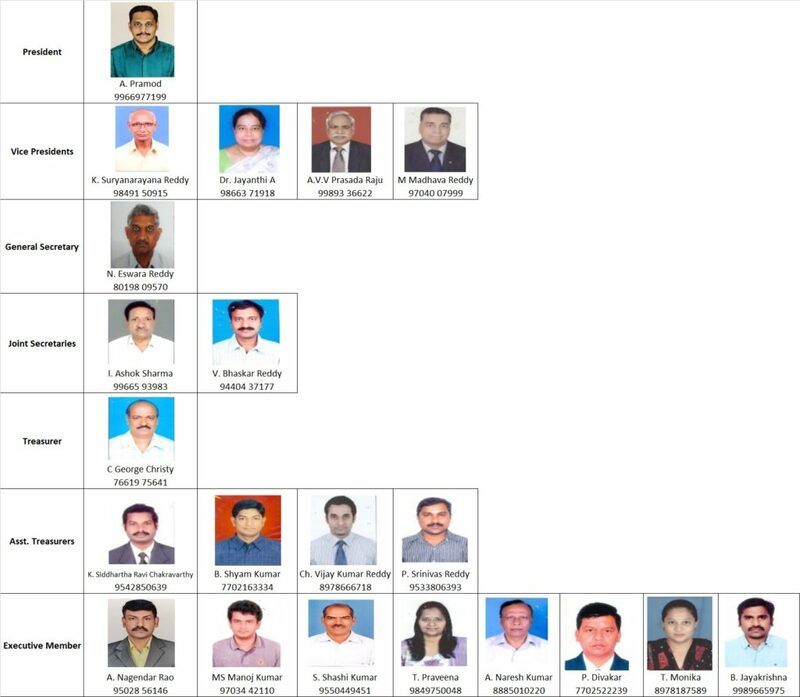 This team is having experienced persons from Information technology (I.T), Retired central & state government employees, people from banking & financial sector, Pharma,real estate, government consultancies & business people etc.. All these people are having very good exposure & expertise with professional educational back grounds such as B.E / B. tech, M. Tech, C.A, M.B.A etc. Following is the executive Committee for the term 2019-21.